News - Langley Park Angling Association. 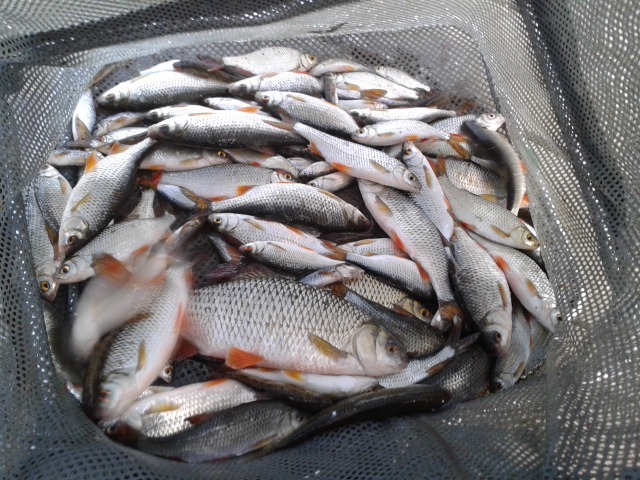 This bag was caught at the weekend (5/10/14) by John Merrigan on peg 1 at Tursdale, the one with the walkway to the peg. Fished at 11 metres over the weed into clear water, fishing at 16ft depth with light hook lengths, loose feeding small amounts of maggot on a regular basis . Estimated weight around 10 pounds of big Roach about a pound and a quarter others, averaging 8oz. PLEASE NOTE ALL RENEWING MEMBERS MUST PAY THEIR SUBS FROM JAN 2019. ANY MEMBERSHIPS AFTER MARCH WILL BE REQUIRED TO PAY THE JOINING FEE REGARDLESS OF IF YOU HAVE PREVIOUSLY PAID IT.